BKE is looking for a developer to join our small team onsite at our Downtown San Francisco office to build a very new product. This is an opportunity to work on a rapidly growing project and have a hand in the design and shape of the product. The ideal candidate is excited by the idea of creating a set of tools that will dramatically improve the lives of small business owners! Our build efforts will never end-- but our goal will remain constant: To enable entrepreneurs, service providers, craftspeople, and artists of all kinds to focus on what they’re brilliant at-- all while ignoring the painful day-to-day back-office accounting tasks they loathe! Remember, nobody goes into business for themselves to deal with bank account reconciliation and payroll! The first set of pain points we need to solve for are obvious-- as our current customers and service providers are already dealing with them everyday (e.g. client-provider communication). The successive pain points are where it gets really interesting... To solve these we’ll need to build data collection and aggregation tools, integrate deeply with third party software, and invoke complex algorithms! 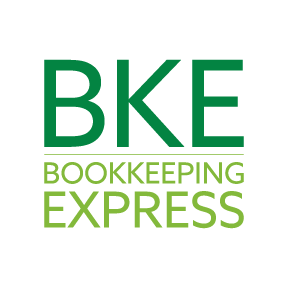 BookKeeping Express (BKE) provides a SaaS platform which automates accounting and bookkeeping for small businesses in specific industry verticals: Health & Wellness, Home Services Contractors, Professional Services and Fast Casual Restaurants. BKE takes a ‘technology + human capital' approach to deliver scalable accounting and bookkeeping for our clients, and currently serves more than 400 clients from some of the largest franchise concepts on the planet, including Anytime Fitness, Five Guys, Mr. Appliance, Mr. Electric, Mr. Rooter and many others. Various DevOps skills, i.e. Deployments, backups etc.